The bankruptcy laws recognize that it is important for a debtor to have an automobile. Often there is no way of getting a financial fresh start without a car to get you back and forth from work. Cars are among the important property that is exempt from being liquidated to pay creditors. There are limits to how many cars you can keep and how expensive they can be. Both the federal and Washington car exemptions are around $3500. Your wildcard exemption can be stacked on top of the car exemption as well. If you have no home equity, the federal wildcard exemption is up to $11,975. The state wild card exemption is $3,000. If you are still making payments on a car you have three options in a Chapter 7. You can surrender the car and walk away from the debt. If a car has been repossessed before a bankruptcy is filed and a debtor still owes some balance on the loan, this “deficiency balance” can be discharged. You also can reaffirm the debt, keep making the payments and keep the car or you can redeem the car. The reaffirmation takes the loan outside of bankruptcy, so the risk of default is assumed by the debtor. If debtor falls behind of payments or lets insurance lapse, they could end up having to pay the loan even the car has been repossessed or destroyed in an accident. Sometimes a reaffirmation can be avoided and the vehicle can be retained by keeping up with the payments without a reaffirmation but the creditor has a right to repossess the car even if payments are current if the reaffirmation isn’t signed. Some creditors allow the debtor to retain and pay without a reaffirmation agreement, some do not. A third option is a redemption. This option allows a debtor to pay off a car loan in a lump sum in the amount a car is worth. This is a good option if the car is worth less than the debt. There are some finance companies that specialize in redemption loans if the debtor does not have the cash to redeem. 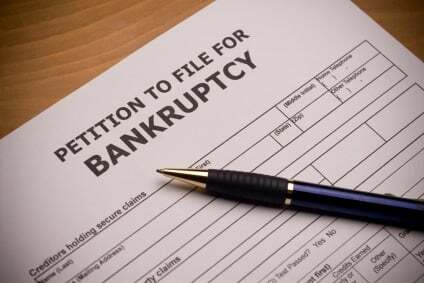 A motion must be filed to ask a bankruptcy judge to sign a redemption order. The only issue is what the car is worth, which is usually worked out by negotiating something fair with the creditor. A Chapter 13 allows a debtor to consolidate the car loan with other debts and pay it off over time. If the car was purchased over two and a half years ago, the debt can be “crammed down”, meaning the loan can be paid at the value of the car. Interest can be reduced in all cases. A cram down is available when the car was refinanced or “negative equity” was rolled over into a new car loan as well.